One of the most awaited fashion shows of our country, the INDIA KIDS FASHION SHOW, a prestigious and exclusive fashion event only for Kids that will be held in Bengaluru for the very first time, in partnership with Divas & Dudes, Bangalore's first Kids Exclusive Salon, Spa and Party Lounge, on 26th April 2015 at the Ritz Carlton Bangalore. 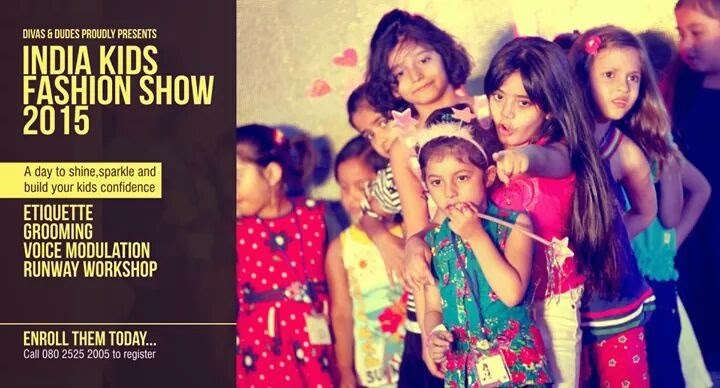 The Kids’ wear market is amongst the largest growing segments in the apparel industry worldwide and IKFS offers an interface not only for aspiring kids’ models but also brings together national & international designers, showcasing the latest global trends in Kids Fashion Industry. At a Fashionista launch event held last evening, the city's creme de le was given a sneak peak into the glamorous event and saw the launch of the Little Divas & Dudes contest, a first of its kind pageant, where 30 kids will be selected for a personality development workshop and will not only walk the ramp for the INDIA KIDS FASHION SHOW’S grand opening designer but two of them will be the Little Diva & Little Dude contest winner. Parents can get their kids to enroll and be a part of the Divas and Dudes contest by simple calling the number 080 25252005 and fulfilling the registration process and give them the perfect platform to build their confidence.